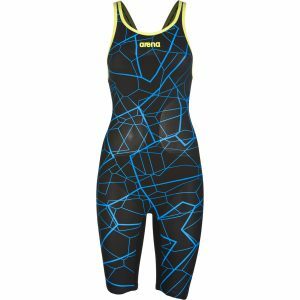 The Finis Fuse technical racing suit is an introductory-level racing suit that offers elite-level benefits. The Fuse is constructed with a unique hydro-reflective textile to provide UVA/UVB protection. The resilient properties of the fabric ensure a comfortable fit and reduce drag. The suit is designed to provide flexible compression without limiting range of motion. The bonded seams and durable features of the Fuse offer a versatile and universal fit. The Carbon Air combines the benefits of the Intelligent Compression with maximum comfort and a sleek construction. The new smart stretch shoulder strap adds an additional level of comfort while the Closed Back design offers maximum core compression and stability for optimum body positioning and minimum drag While popular for breaking records in the pool, it’s winning over swimmers for being easy to put on. Don’t have 40 minutes to spend in the locker room before your race? One Rio 2016 sprinter clocked her suit up time in the Carbon Air at five minutes flat! On Fit: Swimmers looking for maximum comfort and a familiar fit, start here. 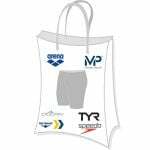 Stay with your practice suit size for the most flexible fit or size down one size for enhanced compression. 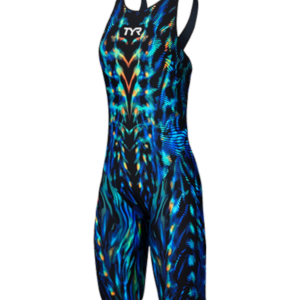 Get the NEW Limited Edition POWERSKIN Carbon AIR - CLOSED BACK full leg racing suit now in an incredible printed colorway! Technology, experience, know-how: it’s all there in the Powerskin Carbon-Air. With a hydrodynamic design, unique carbon band construction and featherweight fabric be race-ready in no time. Carbon-Air's specially engineered “Smart Stretch” straps take the pressure off your shoulders with responsive stretching for unparalleled comfort and complete upper body mobility. This women’s closed back model is fast and easy in and out of the water. Discover cutting edge excellence at its best. Get the NEW Limited Edition POWERSKIN Carbon AIR - OPEN BACK full leg racing suit now in an incredible printed colorway! POWERSKIN Carbon-Air combines innovative design, breakthrough technology and an ultra lightweight fabric. Built with a horizontal carbon band construction delivering intelligent compression while maximizing range of motion and feel for the water. This women’s open back model boast SmartStretch shoulder straps, constructed using selected materials and a totally unique manufacturing process which delivers a notable tension reduction in a critical area for all swimmers - the shoulders. The choice of Olympic Gold Breaststroker Breeja Larson, the Carbon Air combines the benefits of the Intelligent Compression with maximum comfort and a sleek construction. The new smart stretch shoulder strap adds an additional level of comfort. 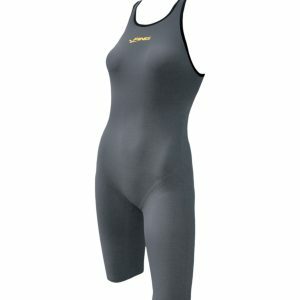 While popular for breaking records in the pool, it’s winning over swimmers for being easy to put on. Don’t have 40 minutes to spend in the locker room before your race? One Rio 2016 sprinter clocked her suit up time in the Carbon Air at five minutes flat! On Fit: Swimmers looking for maximum comfort and a familiar fit, start here. 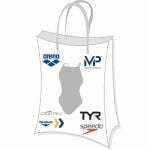 Stay with your practice suit size for the most flexible fit or size down one size for enhanced compression. Now in a LIMITED EDITION print, the Powerskin ST 2.0 marks a new generation in a classic arena high performance racing suit. Three superior knitted fabrics have been combined to provide outstanding stretch, optimal compression, and total freedom of movement. With a new ergonomic construction for enhanced core support, body lift, stability, and comfort, the suit helps swimmers keep optimum shape in the water. The extra reinforced shoulder strap enhances upper back comfort and durability, while the flatlock seams give the suit it’s “perfect fit” feel. The fabrics are chlorine resistant and provide protection against ultraviolet rays (50+ UPF). Not subject to return or exchange. Based on competition suit sizing. Introducing our newest Limited Edition printed Racing Suit. 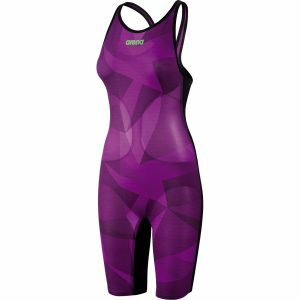 Powerskin ST is a highly performing racing swimsuit made of X-Raptor, a very light knitted fabric, specially treated to obtain an extra smooth outer surface. Thanks to the thinness and higher content of Lycra (29%). Powerskin ST ensures outstanding comfort and dries very quickly. X-Raptor fabric also guarantees excellent durability in chlorinated water and protection against ultra violet rays (50+ UPF). 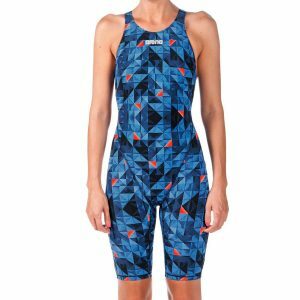 Powerskin ST is a highly performing racing swimsuit made of X-Raptor, a very light knitted fabric, specially treated toobtain an extra smooth outer surface. Thanks to the thinness and higher content of Lycra (29%). Powerskin STensures outstanding comfort and dries very quickly. X-Raptor fabric also guarantees excellent durability in chlorinatedwater and protection against ultra violet rays (50+ UPF).